Camp Cory’s quickest program to sell out is the Counselor in Training (CIT) Program. 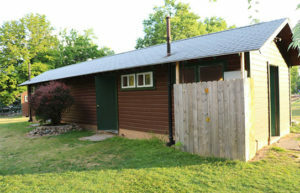 Often, would-be leadership campers are turned away due to space constraints. The program is life-changing for campers, and is often the starting point for future Camp Cory staff. Built around the pond on the new property adjacent to the current Camp footprint, the expanded leadership village increases the number of beds available and allows CIT’s more time to make personal connections. 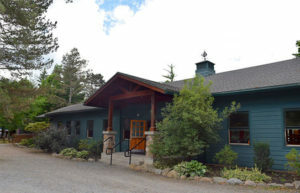 Camp Cory’s Dining Hall holds a special place in the heart of campers and alumni. This is a place where tradition is revered and the spirit of Camp Cory is alive. No activity at camp is quite as important as the tradition of campers and staff sitting together, eating family style meals, and talking. In a world where children primarily communicate through electronic devices, and families have less time for dinners together, the concept of personal connection through meal time is critical. With the growth of Camp, the Dining Hall has reached capacity, and without expansion, drastic changes to the traditional ways in which meals are served and enjoyed would be needed. 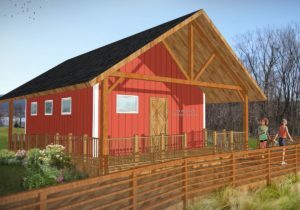 The bump out of the east wall will accommodate 60 more campers and 12 additional staff. 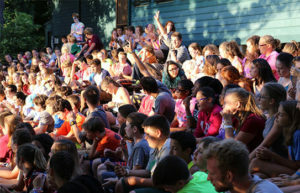 The amphitheater is a special venue where campers and staff gather to open and close their week of Camp, and a space for unique activities throughout the summer. Each week, campers gather here for special elective classes, including guitar, nature, and music & drama. Updates to the Trading Post and Office will improve the buildings role as a welcome center for campers, families, and guests and create a more welcoming experience. 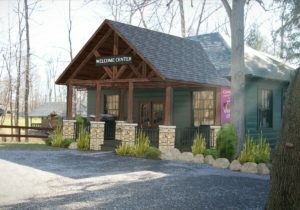 Guests will have the chance to see Camp memorabilia and yearbooks, learn about programs, and speak to Camp staff in a comfortable atmosphere. This building will be re-purposed to provide additional staff housing which will help attract and retain the best pool of applicants. At the heart of Camp Cory’s beloved sailing program is the Yacht Club. 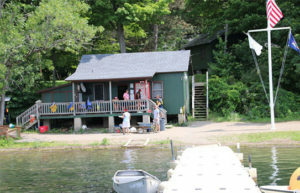 Serving as sail master quarters, renovations to the building will help make sailing available to every camper, attract skilled sail masters, and place Camp Cory among the top sailing programs in the state of New York.